The Washington Post‘s aptly named “The Fix” vertical has weighed in on an embarrassing email story involving Politico. 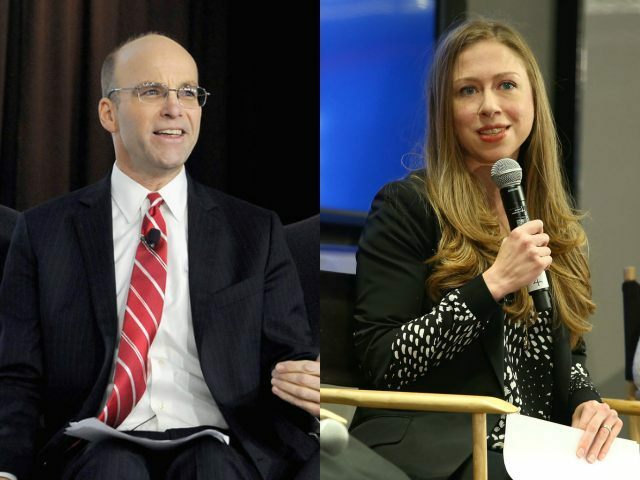 The Post labels Politico editor Mike Allen’s offer of a “precisely” pre-arranged interview with Chelsea Clinton—one he promises will not involve any tough questions—a Republican conspiracy theory. Apparently the Post needs some remedial help with the phrase “conspiracy theory.” That’s a description usually reserved for things like claims that the moon landings were faked or that building 7 in New York was brought down by controlled demolition. It does not usually apply to things for which we have written proof that no one denies is authentic. There is a different word for that: facts. In this case, Gawker uncovered an email in which Politico‘s Mike Allen offers a “no risk” interview to allow Chelsea Clinton to “send a message during inaugural week.” Allen is very explicit that there will be “no surprises” and that questions will be “precisely” pre-arranged. One interpretation of Allen’s e-mail to Philippe Reines, the Clinton aide, goes something like this: Hey, I’m looking for just a few minutes with Chelsea during an important time for her mom. This isn’t a probing, “60 Minutes”-style sit-down, so don’t worry about fielding anything out of left field. That’s a pretty generous assessment of something that the author of the email claims he would never do (and never has done). Mike Allen may or may not be telling the truth about remembering this email, but at least, he realizes it’s a big deal. At the Post, it’s “not so bad” even if it’s true and, oh yeah, it’s also a GOP conspiracy theory.